Bela Fleck On Piano Jazz Fleck joins host Marian McPartland and bassist Gary Mazzaroppi for trio renditions of "In Walked Bud," "All the Things You Are" and "Polka Dots and Moonbeams." 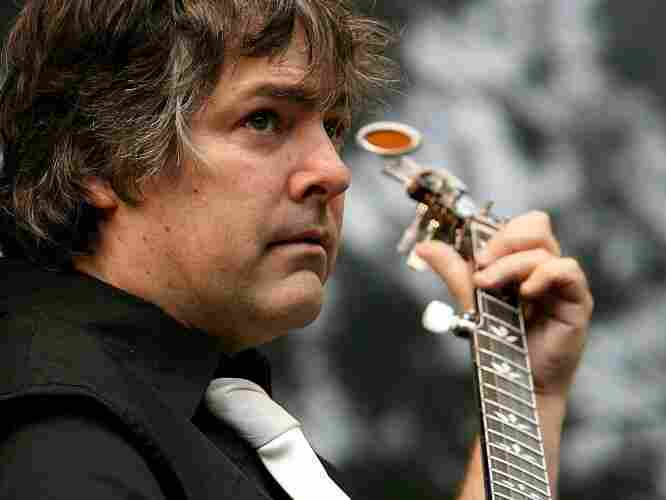 On this installment of Piano Jazz with Marian McPartland and bassist Gary Mazzaroppi, Béla Fleck brings his jazz sensibilities to a set of originals and standards, opening with a refreshing take on Thelonious Monk's "In Walked Bud." Fleck plays his solo arrangement of "The Star Spangled Banner," surely one of the most original takes on Sousa's piece since Jimi Hendrix at Woodstock. 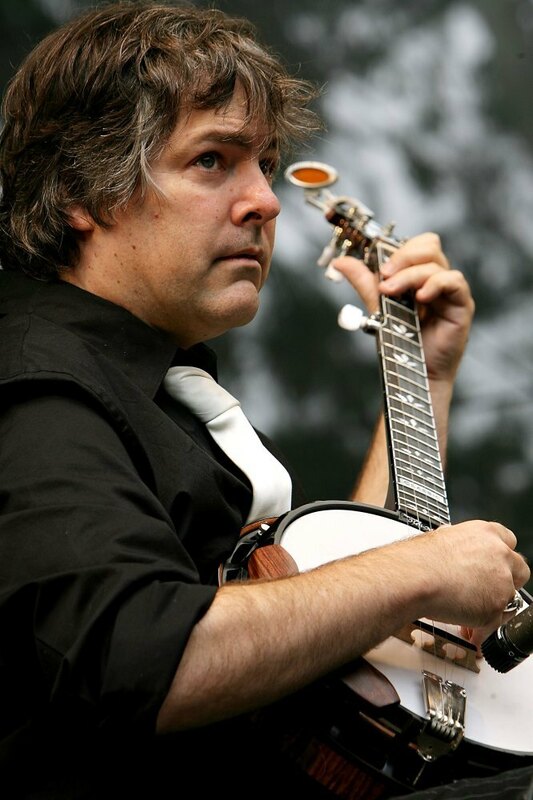 His virtuoso banjo picking lends a rootsy, front-porch feel to the piece. This is one instance where the term "Americana" fits perfectly. McPartland favors her guest with a solo in an original tune, "A Delicate Balance," while Fleck and Mazzaroppi join her for a trio workout of the jazz gold standard, "All the Things You Are." Next, Fleck and McPartland get together for some free improvisation in an atonal feel that sneaks in a few bars of a groove. The two exchange skittering bars in a serious yet playful, George Russell-meets-Earl Scruggs manner. "There's no wrong notes — either that or they're all wrong notes," Fleck says. "I prefer to think there are no wrong ones," McPartland replies. The pair plays a lovely duet of the ballad "Polka Dots and Moonbeams," and bassist Mazzaroppi joins in to close the session in the spirit of the Jazz Age, in a tune that was surely heard on the banjo when it was first published: "Royal Garden Blues," from 1919. Béla Anton Leos Fleck was born July 10, 1958, in New York City. He was prophetically named for three composers born in the 19th century, the time of the banjo's expansion into popular music: Béla Bartok, Anton Webern and Leos Janacek. Fleck says he was captivated by the banjo after hearing Lester Flatt and Earl Scruggs' theme to The Beverly Hillbillies. His grandfather gifted Fleck with his first banjo at age 15. He studied French horn at New York City's High School of Music and Art, and was a banjo student under Tony Trischka. Fleck was interested in the bluegrass sound and the still-echoing reverberations of the folk explosion, but he also dug deeper into the roots of the instrument in early small jazz combos, such as Louis Armstrong's Hot Five and Hot Seven groups of the 1920s. After high school, Fleck moved to Boston, where he played in the band Tasty Licks and released his first album, Crossing the Tracks, a foray into progressive bluegrass. In 1981, Fleck joined mandolin player Sam Bush to form New Grass Revival, with which he toured and recorded for nine years, including festival performances with the legendary Doc Watson and his late son, Merle. Fleck also recorded another solo album, Drive, which was nominated for a Grammy Award for Best Bluegrass Album in 1988. That same year, Fleck and bassist Victor Wooten formed Béla Fleck and the Flecktones, along with keyboardist and harmonica player Howard Levy and Wooten's percussionist brother Roy "Future Man" Wooten, who played Drumitar, his synthesizer-based drum invention. Levy left the group in 1992, and saxophonist Jeff Coffin later joined the group. Fleck has also worked with other artists, ranging from guitarist Tony Rice and fellow banjo picker Abigail Washburn to the Dave Matthews Band, Phish and Ginger Baker (Cream, Blind Faith). He has worked in a jazz trio with pianist Jean-Luc Ponty and bassist Stanley Clarke and performed with Chick Corea and tabla player Zakir Hussain. Originally recorded July 28, 1995. Originally broadcast March 23, 1996.